Moringa Seed, Powder and Root side Effects? You are about to know. Info: This is why those using Moringa Oleifera have to slow down before it will be too late to do so. It is no more news that Moringa is taking the lead (or something close) of herbs used to cure many diseases and one which helps stay healthy, in recent times. Called the tree of life, Moringa Oleifera is a plant that would whet your mental appetite regarding its health benefits. It has helped many Obese in losing weight. Many diabetes and arthritis patients among many others have benefitted from the potency of this miracle plant. Isn’t it worth a rapturous applause? But, while we perpetually celebrate the untold healing it has wrought in the lives of many, shouldn’t we look into its side effects? Or does it have no side effects at all? Read on to know! It’s not even a new thing to see both the young and the old venturing into the business of selling both its seed and leaves to earn living. To say the least, some people make fortunes out of this miracle tree! But, it’s more than that. The madness that people have developed concerning this plant is something we all need to take a closer look at. It’s worth the prying eyes of anyone who is known to be their brother’s keeper and of course, everyone that really needs to live longer. When it comes to mental marketing, I have not seen a country as good as Nigeria. Let there be a news on the major television stations today that, “Eating one’s faeces and drinking one’s urine following, is a way to immortalize oneself;” don’t be surprised when you see your great grandmother being the first to use it. You heard that Moringa’s seed, leaves and root are all you need to keep you healthy, and the next you do is to be taking seven of its seeds at a time without consulting medical practitioners – even common sense – to help in the usage? It is questionable how Nigerians take news and attend to things that are in vogue. Oh! I wouldn’t fail to mention the last one that happened. It was during the Ebola outbreak. On just hearing that taking salt water was a preventive measure to take, some bathe, brushed, wiped their buttocks, and sniffed with salt water. Many did so much unimaginable things with the use of salt and some were left dead when the effect of “the salt we take every day” manifested on their bodies. Who would have thought that common salt that is part of almost everything we take on daily basis could be the reason behind some people’s death? I sigh. I am a Nigerian. And a proud one at that. Hey! I didn’t mean I am proud; I mean I am proud to be a Nigerian. Thanks for your understanding. Smiles. I am in my early thirties and I remember I have been in the hospital twice in my life: the first time (1997), I ate poisoned food and the second (2007), I had a cut on my left eyebrow (can you see it from there?) which needed to be sutured. To be factual, my only sickness is headache. And whenever I have that, I only need to sleep and that’s the end. I don’t take any drugs! So, talking about sound health, I am one who needs to thank God. I know what it is to have gotten that much grace. Read more about me here. And it’s deeper when it is congenital or hereditary. While it’s still valid that health is wealth, we cannot jettison the fact that the race to stay healthy is not one that needs to be run at just few paces – even if you have Usain Bolt’s gene in your system. To stay healthy is a lifetime core course and one that nobody needs to fail! But it is so unfortunate how we do things wrong. So tragic and alarming how we are the undoing of ourselves in the bid to stay healthy. Yes, Moringa! Moringa, its magnanimous help and the unheeded side effects on the human body. I met a woman earlier this year who narrated the ordeal of a man to me. The old man had developed a critical health condition that needed to be attended to, and then this woman was contacted. She just came and began to deliver some lectures about the use and side effects of Moringa since it was what the man suspected. The man felt like jumping out of his skin when the woman told him certain amount of Moringa could create holes on the user’s body. Wait! Don’t panic… Let us talk about this. And we will do that here, and now! Let me be fast about this. Let me call Moringa a know-it-all herb. To be factual, Moringa is a must-have herb for every home because its nutritional benefits are just almost innumerable; there are enough claims to that. It has enough Vitamin A which helps improve your sight (your eyes); it raises your immunity; it decongests your body of toxins; it helps in water purification; it boosts your energy level; it helps to aid digestion; it helps to hype up your mood; it keeps your blood pressure normal; it helps proper functioning of your immune system; it’s a good treat for stomach ulcer; it helps in the treatment of stomach lining and more than a pill to cure cancer – I can’t tell it all! In fact, this guy says the Moringa plant has 30 benefits for skin and hair health. Watch the video below to see all! The Tree of Life: Moringa Oleifera the Miracle Tree from therealtreeoflife on GodTube. How do you feel about this plant now? Like going to start planting and selling? Good. But let us talk about something more – it’s side effects! So, does Moringa has side effects? If yes, what are the side effects of Moringa? Let us see some more. According to this research, Moringa is said to be safe when used in an appropriate manner and administered orally. Its fruits, seeds and leaves are also safe when eaten in moderate amounts as foods. However, eating the root and its extracts could be a looming danger to the body. This is no other reason than, these parts of the plant contains enough toxic agents capable of causing paralysis and even worst, death. So, to use Moringa, make sure you follow prescriptions of someone that really know about this plant. Here Comes the Bomb: the Special Warnings and Precautions! It’s LIKELY TO BE DANGEROUS to take the bark, the flowers or the root of Moringa when a woman is pregnant. Because, the chemicals in the mentioned parts of the tree could make the uterus contract, which might cause miscarriage for the pregnant woman. However, there is no substantial information about the safe usage of other parts of Moringa; but it is advisable to stay out of it during pregnancy. Only use it on your doctor’s prescription. Since Moringa is often times used to boost breast milk production, some research assume it might do this to a nursing-mother; though there is no concise information to help whether it is safe for the baby. So, isn’t it worth the halt when a woman is breastfeeding? Make sure you use any drugs or herds per doctor’s prescription; avoid self-medication. Moringa’s side effects are not widely known but on the occasion that someone did take it all wrong. Its effects come unaided when one starts to take too much of it. Moringa is not a fix-it-all for your hearth challenges, even if it has all the potency to keep you healthy over the time. Everyone has accustomed time it would take Moringa to adapt to their body system. It is therefore imperative to use this plant per body system to gain its benefits. Rushing it in is dangerous! Feeling nauseous following the intake of Moringa is a proof that you have taken too much of it; having runny stomach from the intake of Moringa is another proof that you have taken more than normal dose. 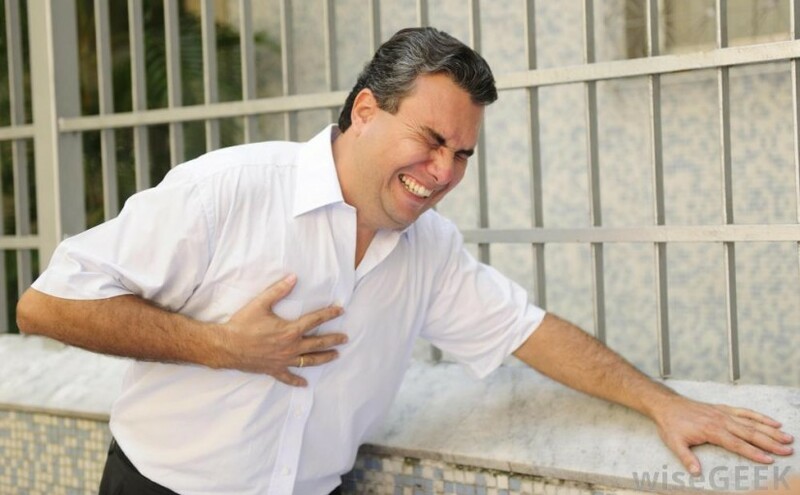 Taking Moringa with little or no water can readily give you a heartburn. So, take with as much water your stomach can carry. No! I didn’t mean you should take a gallon of water. Moringa, like every other green plants used as food, thickens the blood. A caution for those on blood-thinning medication. Note: Don’t eat many of the seeds at a time! Take it little by little. Like no one can burn all the fats in their body in a day, don’t try to use Moringa as a shortcut to having the healthy condition you desire. Failure to adhere to this caution is hundred times dangerous to your health. But… I thought you would ask this question? How much of Moringa should I take? It is recommended that you take a seed of Moringa at a time if you are just starting to eat it. After a while, you can increase it to two seeds at a time. But, never let your appetite drive you to take more than four in a day! That is not a typo! Don’t take more than maximum of four (4) seeds in a day. Eh! You are still asking why? Just follow that for now. It is recommended to start with half of a teaspoon daily for three (3) to five (5) days and increase this to just one teaspoon on the sixth (6th) day. You can take two spoons per day if you are very healthy, two teaspoons daily is okay. And after two weeks, you can take a bit higher than two spoons, but not like 10! Three to four is okay, and even with that you need to pay attention to how your body reacts to it. And the moment you sense any irrational feelings, slow things down. Yes… Down. Like D for Door, O for Orange, W for Water and N for Nose; D-o-w-n! It is better you take this with breakfast and not advisable you take it on an empty stomach except prescribed by a medical practitioner. More so, you can take it on the particular time of the day that you need it most: you can take it to aid digestion either in the morning, afternoon or at night, depending on your body system and feelings. Never take it because you saw Tom and Jerry taking it every now and then in the cartoon. Let me also remind you to wash your hand with soap regularly, especially after visiting the toilet. Won’t you say thank you for that? Smiles. Be careful who you buy from if you can’t make the tea on your own. Buying from someone who is after your money and not your health will only cost you troubles. I even suggest you learn how to make the tea yourself. Don’t buy Moringa tea from all these “E de kill this, e dey kill that people;” don’t buy from just anyone. Make sure you buy all you take into your mouth from qualified sellers! Should I prostrate on that? Here I go. Now the ball is in your court. Should we save lives together or watch people die of ignorance? Don’t let your neighbour be a victim of this! Care enough to Share this article with those you love. Thank you in anticipation. Mwah. But, make sure you subscribe to this blog by dropping your name and email in the form below and click “Sign me up.” Just few seconds. For Questions and Inquiries, contact me on WhatsApp (+2348032503305); Facebook (Olalekan Adebumiti). Thanks for your information am glad to hear it. God richly bless you. Thank you so much, Williams. How long will it take before I can start experiencing some of the benefits from taking the powdered Moringa leaves? Xtal, I suggest you talk to your doctor… Even before using stuff like this. are there any proof/experiences/testimonies that taking the roots will cause death? Well, I don’t have much about that, Annie. I wrote this piece so we take precautionary measures in consuming things of all sorts. Doing an online search can help to know more about that. Thanks for that information, Tressa. Thanks Hani. I am Glad it helped you. Thanks for a great article. I wish I had read your article before taking this herb. Last night I made a drink: 1 tbsp of organic Moringa powder, 1 tbsp of milk powder, some sugar and honey to improve the taste prior to going to bed. OMG, it kept me awake for a long time and I was passing in and out of consciousness. My tummy was rumbling [gassy] and there was this terrible itch on the lower part of arm. I experienced a lot of rheumatic and joint pain too. I got up early, much too early, and felt horrible. This drink really ruined my sleep and had robbed me of much-needed rest. I don’t know if this has to do with the dosage… your suggestion of half a tsp for 5 days before increasing it to one tsp. on the sixth is a wise procedure. To those who have not ingested this herb, I would therefore like to sound a note of warning or a strong word of caution. Don’t mess with your body and health! I am curious as to why it caused “black spots” and “holes” to form on the body of the old man – what is the scientific explanation for this – the black spots and holes and the itching too? The results of ingesting too much sulphur from the Moringa leaves? In contrast, I recently started drinking Gaharu leaf tea (Gaharu is the Malaysian term for Agarwood, aka Agaru, Aloeswood, Aquilaria spp.) and the results are great. Drinking it before bedtime produces good sleep and even pleasant, vivid dreams. Gaharu tea has potent purging effects too so one has to be careful with the dosage and amount of tea leaf used. Perhaps you could do an article on this too? I read somewhere that the tree is found in Nigeria too. The fragrance from the oil has been called ‘the scent of heaven’ and it has been reported that the Japanese even offered a Cambodian monastery a sum of USD 23 million for an ancient Agaru tree growing in the compound and that the elders there declined the offer! My best wishes to you for the new year! Thanks for that Comment, Cjuan. I’m glad you now understand more. Moringa powder, with milk, and honey too? Haba! That’s herb-abuse. Moderation in the use; that’s the essence of the message here. 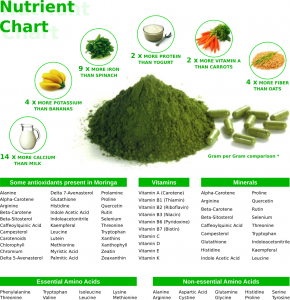 Moringa is very very good! Thanks for your information its beneficial, but you didn’t talk about the juice. I’m sorry, I’ll talk about the Juice in one of my next posts. I would think for males it could possibly be too high in iron which causes graying or darkening of the skin when it starts to become toxic to the liver…hemochromatosis. This also makes arthritis symptoms worse and will make you lethargic. Read up on iron overload, hemochromatosis. Awesome feedback! Thanks for this, Thomas. guessed I must have used 5-6 teaspoons!!! Chai!!! Lesson learnt. Thanks for the exposé Sir. Nice article. Will like to know more reading your article… Kindly permit me to ask this, are you a dietician, nutritionist or a doctor, am concerned because your article is more of an experienced nutritionist.. will like to know more of you and all that you are into, thank you. Thank you so much for this article! I’ve been dong research as my hubby recently became interested in Moringa products. I believe nothing should go into our bodies without research, at least SOME information should be obtained to gain more knowledge before we ever ingest anything! A lot of folks are “too busy” and they take the word of friends/family that “it’s OK” or “it’s extensively tested” or “it’s proven safe”……..I always want to know “yeah?….BY WHAT AUTHORITY???!!!”. Too many today are the blind leading the blind. I appreciate your candid and well-rounded article that offers both Pro’s AND Con’s……realistic and enlightening! Everything in moderation and with consideration/research, right?! Thank you again! Thanks so much . Now i know what I do not know before about the moringa tree . Hi I have read your post on moringa. I have recently bought the leaf powder. I asked my GP about it and he had to Google it cos he had never heard of it. I suffer from asthma high blood pressure due to being very anxious and have eczema. I have taken flaxseed for the last couple of years and my eczema has cleared up although it has recently returned in small patches. I would really like to believe that moringa will help me but I am so afraid it will make me ill. Can you advise me, please. My GP doesn’t believe in alternative medicine. Thanks for that information. Very informative. Thank you for this write up, it has really opened my eyes to some things that i have been doing and i felt it is right. God bless you real good. Thanks for your commet, Gideon. Kindly meet a medical practitioner, please. Thanks for this Article. I’d been taking Moringa (from my garden) in various forms for years now, and I testify that it is very good, has numerous health benefits. As you rightly pointed out, too much of anything, including the miracle tree, is bad. As you also rightly pointed out, one’s body constitution should also be the guide. For instance, I know that Moringa lowers blood pressure, so I usually advise those with low BP, to avoid it. Am not a Doctor. Just common sense. Again, I’ve noticed that if you eat too many raw Moringa seeds, it gives you purges you terribly. Again, what is “many” depends on one’s body constitution. -I’ve seen people who, seeking to be purged, said they ate up to 10 seeds and yet were not purged, while any number above 4 would purge other people. For anybody who didn’t know, this purging can be very embarrassing! When it starts, you better stay close to your toilet, or you do it on your body. Am joking. About 5 years ago when I was first introduced to Moringa (the seeds from where I planted mine), I was advised to eat a maximum of 4 a day. One night I inadvertently ate about 12! It purged me, like running water, for two days! Thank God it was a weekend. But the beautiful irony of it was that after the purging, I discovered, very happily, that the migraine I had had for nearly a year had disappeared! So, last year (about 4 years after) when I had symptoms of migraine again, I, on purpose this time, ate about 8 of the raw seeds not minding that I was regularly drinking the fluid I made from boiling the leaves (very good too)! This time, the purging embarrassed me, but thank God I was in my house. But again, the migraine left with the purging. Thanks again, bro, for this helpful Article. God bless you. I so much love how you have shared your experience o this. And I am glad the post helped you further. Thanks so much. I drank raw moringa leaf juice and suffering from severe diarrhea how to treat now? I took 50 ml of moringa juice. Svijaya, you will have to see your doctor. Thanks. Ritu, please… Run to a doctor, immediately. And explain whatever you have done. Ideally, Taking Moringa wouldn’t yield the same result for everyone. That’s why it’s advisable to use stuff under the guide of a medical practitioner. Thanks so much for your article on Moringa and its risks! I recently visited Haiti, as I do very often, and noticed that people were selling powdered Moringa root in the airport. I was in a hurry, so I grabbed one, not really looking at which part of the tree the powder was made from. When I got home, i saw that I had bought moringa ROOT powder, not moringa LEAF powder! I remembered a friend in Haiti telling me that the roots are okay once in a while, but that they are bad for you in the long run. I decided to do some research, and I found your article on Moringa. Thank you for putting everything so clearly, concisely, and honestly! I have since ordered leaf powder and plan on not doing much with the root powder I already have! Thank you so much for that lovely article! Thanks Kelsey and I am glad this helped you. thanks for this interesting and educative article. Thanks for the Comment, West. And I am glad the post helped you. for about 9 months I have stated taking moringa leaves,some time cook wit stew .lneed adverse should I contious bcos l am diebetes . Zanna, this post already advised that you see a medical practitioner. Thank God I found this article ….I started this moringa tea stuff(with the leaves and I single drumstick) exactly three days from today. On my first experience , I passed out urine , numerous time that day. So my mum and I thought we had a great herb(its great indeed) . But momentarily , I’m typing this comment on a-break-to-privy wahala….I can’t tell how I’ve been purging since noon. I was then compelled to read more on my newly found tea. I’m grateful I found this article and I’m glad everyone is sharing their experience here. I’m glad you came in here. And glad that this post helped you. I boil fresh malunggay leaves for 20 minutes. I let it cool and add kalamansi juice or lemon juice to taste it good. I even include small lemon grass while boiling sometimes. We drink it every night before we sleep. I think my children build a good immune system. They are no longer getting sick always like cough and cold, fever, and they have lots of energy. As for me, im always constipated before and it makes me sad, when I started drinking this every ngt, my bowel movement is regular now every morning when wake up. We even planted in our backyard for our Chicken/Fish Tinola (soup). It is always in our table if we prepare soup. You can find this everywhere in the philippines. We call it Malunggay in Filipino and Moringa in other terms. I’m glad that this post helped, Mel. Thanks for the information. I’m here because I think I am a victim of the overdose. I drank a glass of fresh moringa juice in an empty stomach, and results after one hour was awful. I felt like I was dying with nausea, diarrhea and especially heartburning, Thanks to God, I feel a little better right now after vomiting a lot. I need a piece of advice from you please. Will it be right to take One cup of fresh moringa leaves and one cup of water then blend them to get a juice (one glass juice) which will be consumed at once in an empty stomach before breakfast in the morning?? Because that is what I did to my self, and to my wife I added a piece of lemon and a spoon of honey into her glass of fresh moringa juice. After consuming, both me and my wife felt like dying. Therefore I want to know if that was normal thing, or we over dosed ourselves?? Help me with Answers please. Sankara, the best thing to do in this case is consult a doctor. I think you have abused the moringa intake. thanks a lot for the info on the side effects of moringa. God bless. Thanks for the comment too, Elizabeth. Joy, thanks for the information. 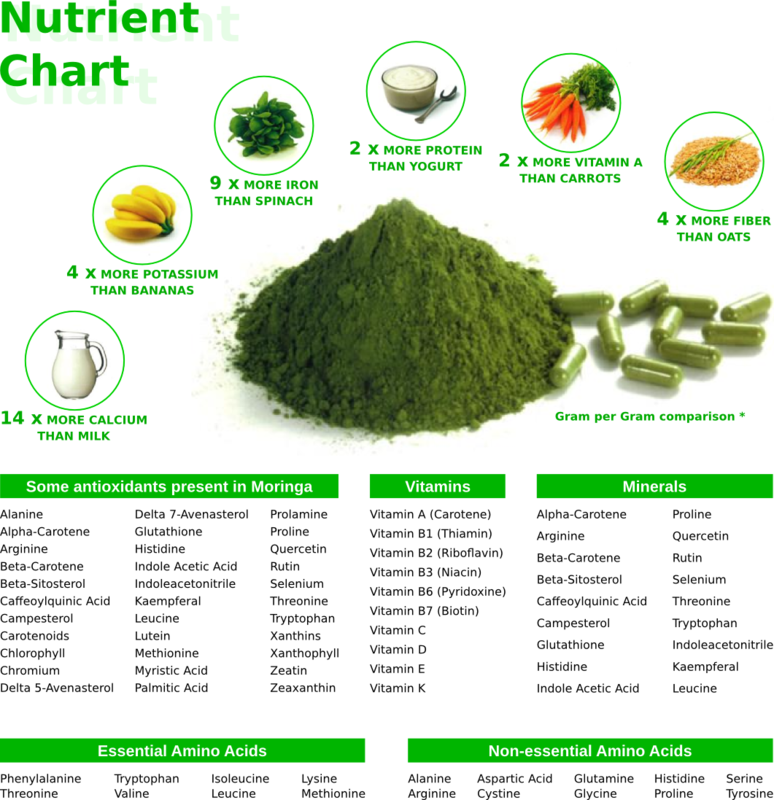 The main cause of side effects of moringa is the abuse on its usage. Thanks for the info ya..Really appreciate it..Thanks again? Thank you too, Zarina. I’m glad this post helped you. thanks for your research and write-up. Thanks for your comment, Victor. I’m grateful. It’s quite informative though, but too much write up. I couldn’t read through all, so what did you say is the remedy for Moringa overdose? I started using moringa before a couple of months ago and the result is quite nice but I was really not aware of such side effects, thanks for sharing. I have read your entire article and like. Too much is not a good thing, but I have seen some improvements in some things. The black spots sound very bad and don’t wish to get that. Thanks for the feedback, Gbemiga. Just A Single Seed Of Moringa throws Me out Of consciousness with Severe Vomitting. I Am really Scared of Moringa seed. But i ‘m ok With half tsp of moringa powder. Thanks A Lot dear. It’s better to take caution in consuming herbs, knowing that not everyone can take the same dose and get the same result.